PROJECT: Show + Tell is a collaboration with Margot Jacobs. As the title suggests, about showing and telling existing and hidden happenings in our everyday surroundings and lives. 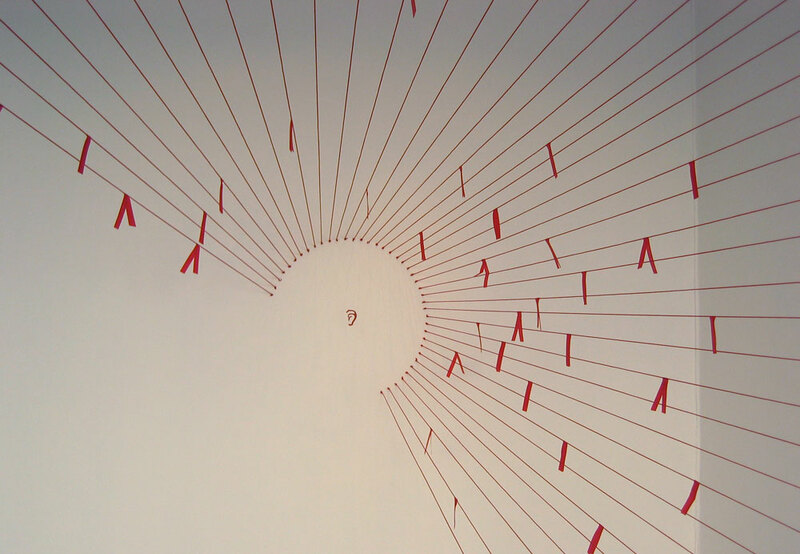 Visitors are invited to attach their secret desires to a series of strings extending from a central point on the gallery back wall to the frame of one end of the room. In addition, during the installation of the strings, pictures were taken of people passing by the gallery space. 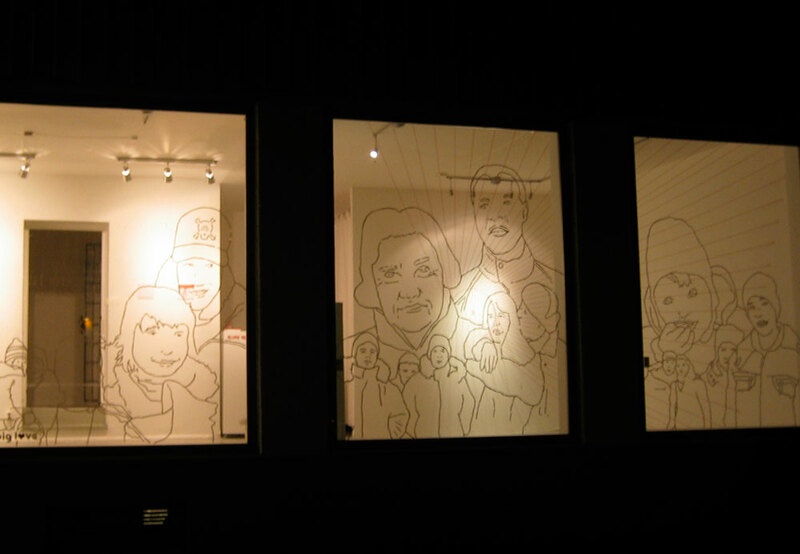 Using these images, a collage was made on the window, reflecting the community back to itself.